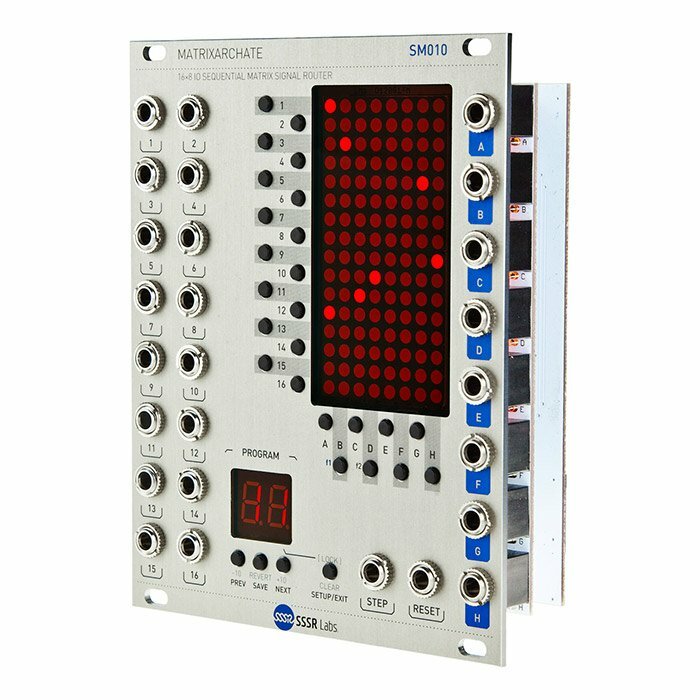 The SSSR Labs Matrixarchate is a 16×8 input-output sequential matrix signal router, capable of connecting various signal sources to destinations and storing this connection matrix in up to 60 user presets. 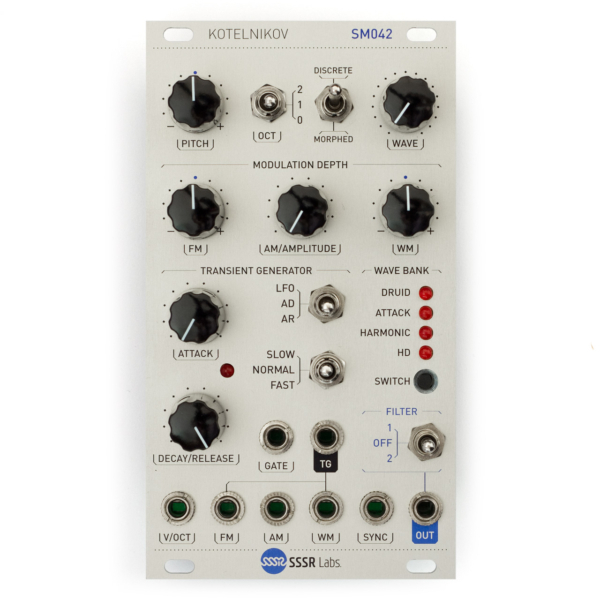 This style of modulation matrix is inspired by synthesizers like the legendary EMS Synthi, which allowed for the interconnection of any set of modules in a very similar way. The Matrixarchate has 16 bi-directional “Row” In/Outs enumerated with digits, and 8 bi-directional “Column” In/Outs enumerated with letters. All these patch points can be used as inputs or outputs, giving maximum flexibility and freedom of how to use the module. 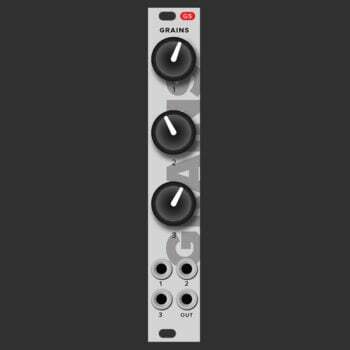 The Matrixarchate can store up to 60 user patches which can be sequenced through using an external trigger. 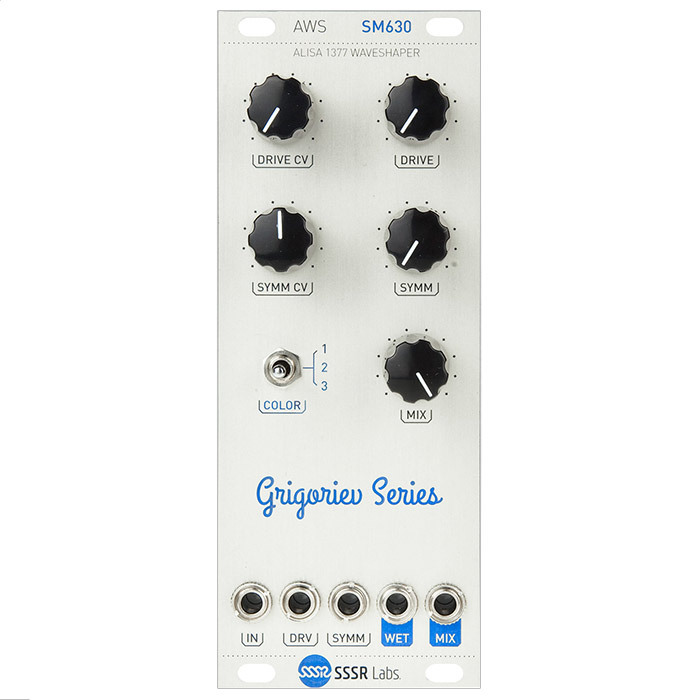 The particular patches to be used in a sequence can be picked in Setup mode, along with the preferred sequence direction: Forward, Back, Pendulum or Random. It needs to be mentioned that the Matrixarchate is built around an analog switch IC, controlled by a microprocessor, so no digital signal processing is taking place. Also, for a better visual performance, there is no LCD used, just good old LEDs! 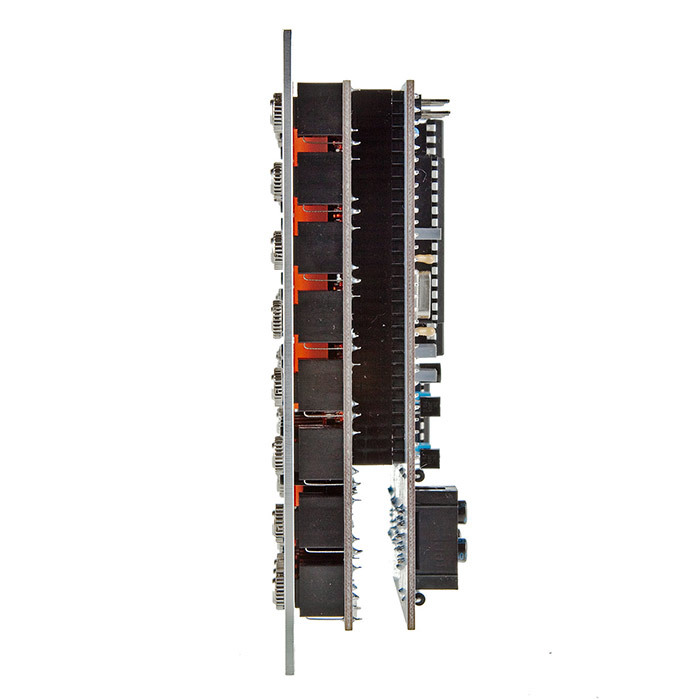 The module’s ergonomics are carefully designed to fit perfectly within a compact Eurorack module. You can instantly: change patches, quickly clear the matrix, revert to the last stored patch, temporarily change a patch – switch to another and return back to that modified patch, copy and paste patches, display patches in several different ways and adjust LED brightness. 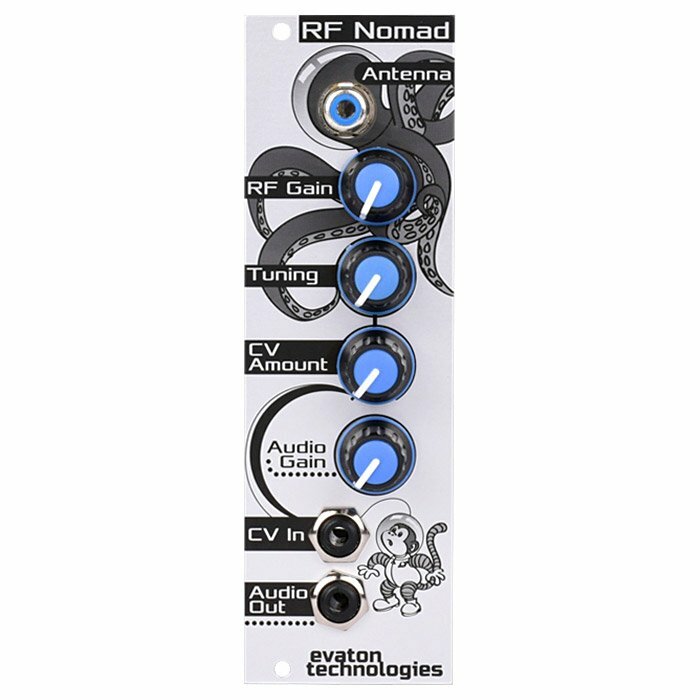 The Matrixarchate is also compatible with Monome Teletype control module (version 2.3β1 and later). 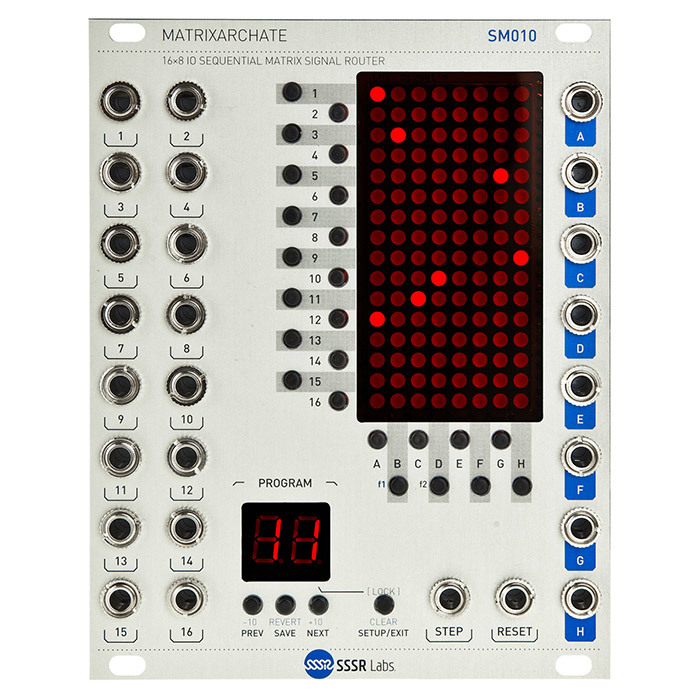 Like the matrix on the EMS Synthi, the Matrixarchate does not perform input summing operations! This means signal distribution one-to-many is possible, but signal combining many-to-one will result in passive averaging of modulation sources. Important note for PCB Version 1.0: IC9 (79L06) must be placed backward! It is wrong on the PCB silkscreen and right in the assembly manual! Can store up to 60 programs (or up to 30 presets with custom graphic dot art per program. Particular set of programs can be picked for sequencing. Can overwrite a program with another one. Can temporarily change a program and revert it to the last saved state. Two styles of program numbering (1, 2…60 and 1A, 1B…4D) with optimised quick-recall key combinations for each mode.